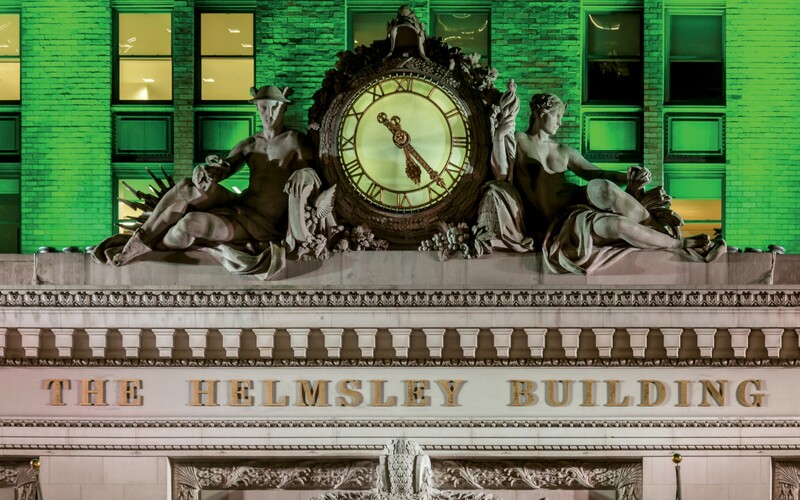 This historic 34-storey building is a shrine to Beaux-Arts architecture in Manhattan, but for decades, its beautiful details were virtually invisible at night. 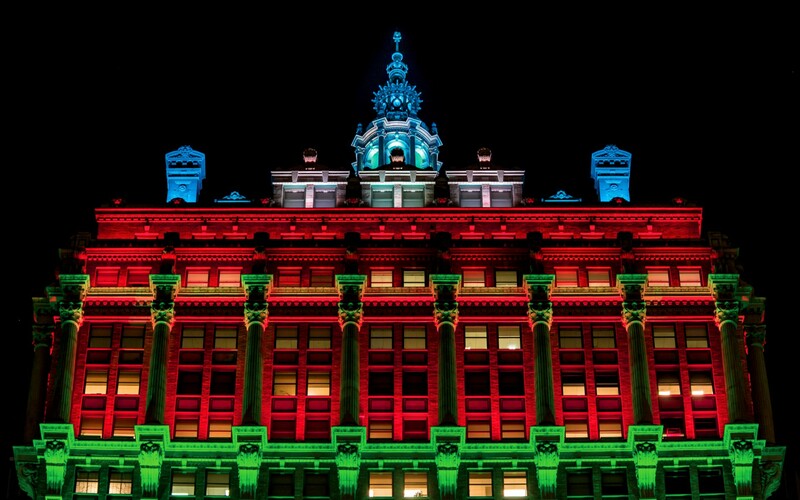 Lighting designer Al Borden from The Lighting Practice was hired to create a special identity for the building after dark. 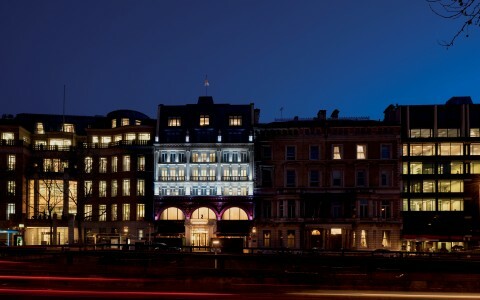 Our intent has been to give the building a lively nighttime appearance by re-interpreting its historic forms and proportions with concealed uplight sources. People will see details very differently and have a new experience of the architecture. New York City's 230 Park Avenue was once considered a very tall structure in the Manhattan landscape, standing 34 storeys high. Yet within a very short time, it would be dwarfed by the towering Chrysler and Empire State buildings. Despite being a Beaux-Arts marvel, with its golden cupola and various ornate moldings, it was rendered virtually invisible at night. Only its lit rooftop was discernible from a distance. 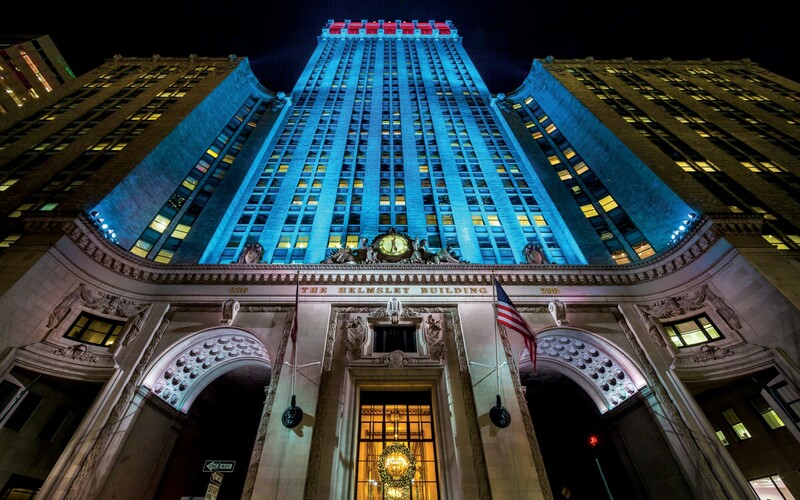 "The existing lighting used high-pressure sodium sources to illuminate the roof," says Al Borden, principal at The Lighting Practice, the firm hired to create the bold new lighting design for 230 Park Avenue. "The rest of the building was in shadow. At night, it seemed to blend into the facades of surrounding buildings and disappear." 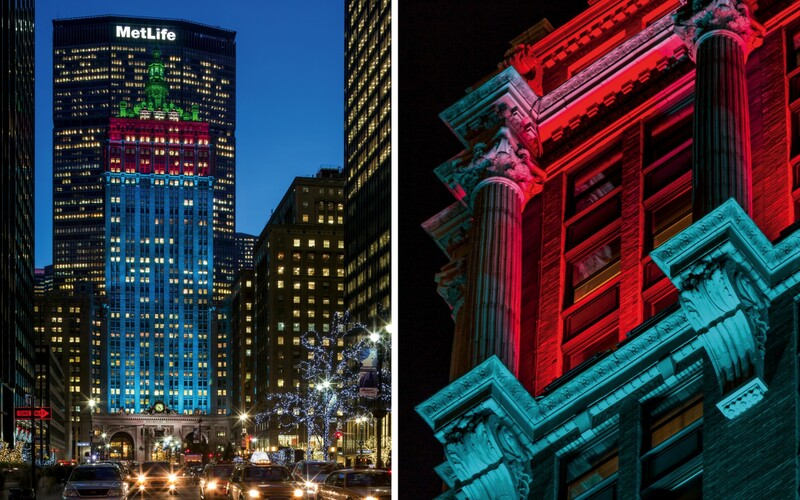 Monday Properties engaged The Lighting Practice to rebrand the building by creating a lit exterior that would be immediately recognizable from up close and from afar. 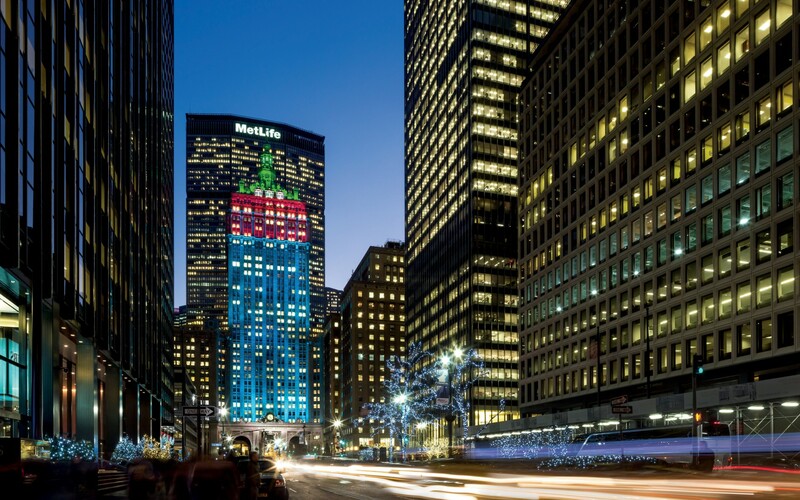 "We were asked to illuminate the building from the sidewalk up to the top of the cupola on the north side, and to wrap the lighting treatment around the east, south and west sides of the building at the 29th floor and up," Borden recounts. "Our intent has been to give the building a lively nighttime appearance by re-interpreting its historic forms and proportions with concealed uplight sources," Borden continues. "During daylight hours, when downlit by the sun, the building's architectural details have a familiar appearance. At night, we flip the source upside down and present a new way of looking at the building. People will see details very differently and have a new experience of the architecture." 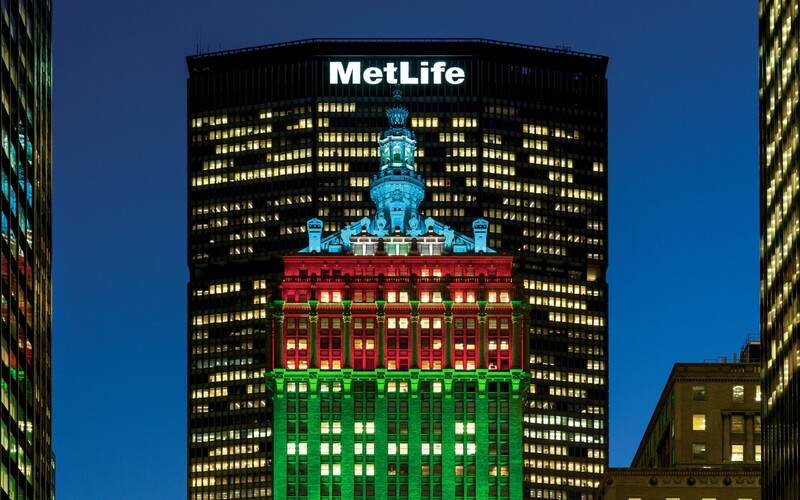 Over 700 Lumenpulse luminaires were used to craft 230 Park Avenue's nocturnal identity. To do this, The Lighting Practice chose Lumenpulse color-changing fixtures from the Lumenbeam and Lumenfacade families. "Lumenpulse presented excellent project experience and a committed team," says Borden. "Their financial proposal was competitive and they showed an enthusiasm and attentiveness that was distinctive. They worked hard to get this project and have continued to work hard servicing it." Wide-angled Lumenfacade fixtures illuminate the ground-level tunnels arching over the north- and south-bound traffic on Park Avenue. 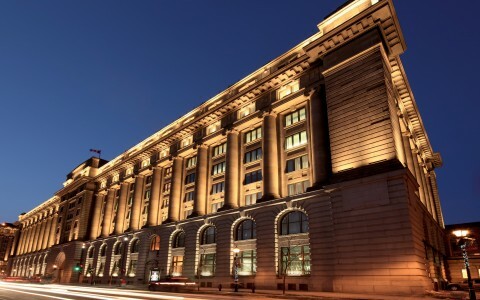 At intervals on the 5th, 16th, 29th, 32nd and 33rd floors, a mixture of Lumenbeam Large, Lumenbeam LBX and Lumenfacade luminaires with narrow optics accentuate the building's neoclassical elements, while enhancing its soaring, stately presence. 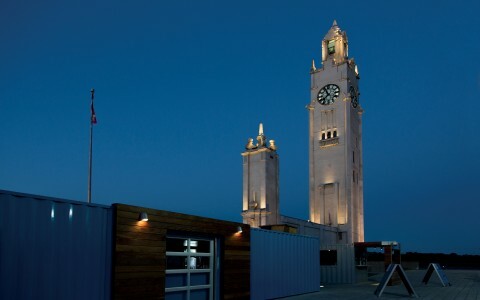 Lumenbeam Large and LBX provide flood lighting for the sloped rooftop, while narrow-beamed Lumenbeam and Lumenfacade fixtures bring out the cupola's lavish details. "These [Beaux-Arts] buildings are beautiful and they have a story to tell about the times that produced them," Borden relates. "We want to help them communicate clearly." 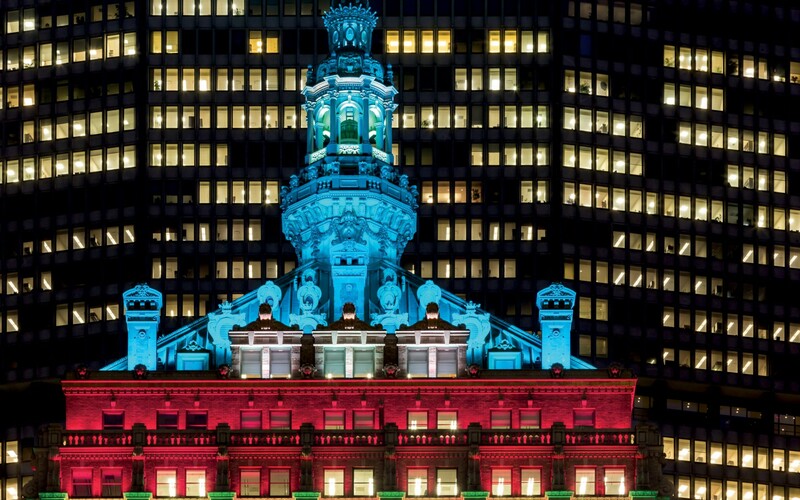 Lighting such a tall, historic building is no small feat. The New York City Landmarks Preservation Commission reviewed and approved the project, ensuring the design wouldn't compromise the building's architectural integrity. This means that light sources had to be hidden from view, and mounts could not be drilled into the surface, only anchored to joints. 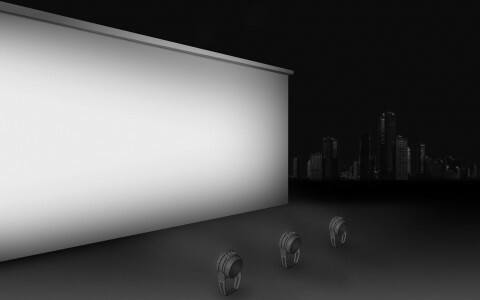 "For highrises," Borden adds, "we also consider how to light the building for distant viewers. Aesthetically, you need to determine what elements or details of the building make it a recognizable structure." The new lighting design makes the building visible from nearly 40 blocks north on Park Avenue. 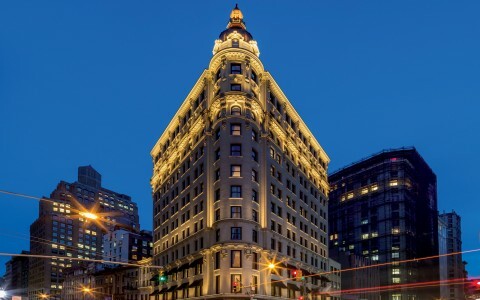 On top of rebranding 230 Park Avenue through architectural restoration and building system upgrades, Monday Properties was also pursuing LEED Gold certification. "LED was always a consideration, but when we started 5 years ago, the systems did not have sufficient output," Borden explains. 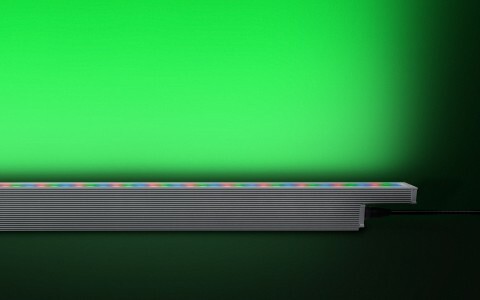 "The recent dramatic improvements in LED performance made us reconsider and ultimately select LED." 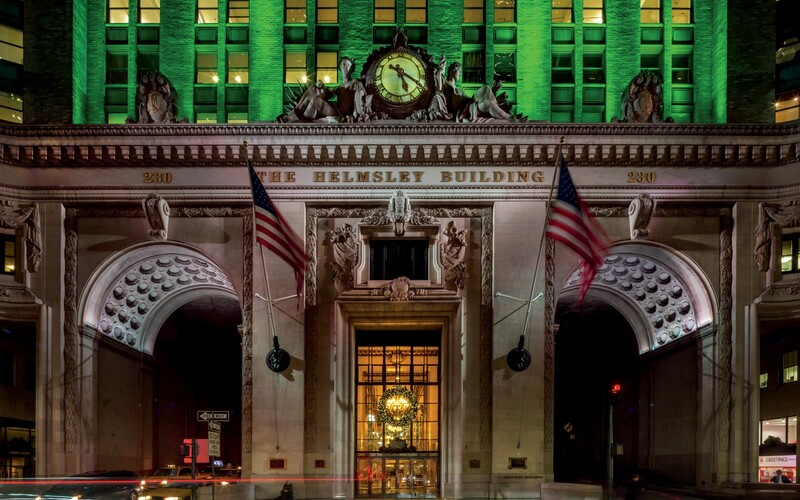 Monday Properties' Vice President of Property Management and Operations Hani J. Salama confirms that the Lumenpulse luminaires installed on the rooftop consume 71% less energy than the original fixtures, adding, "the new lighting dovetails with our ongoing commitment to energy efficiency." 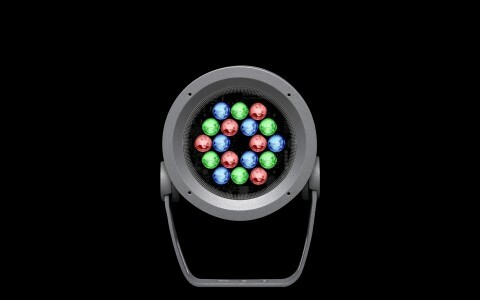 On top of energy savings, the RGB fixtures will also provide some entertainment. 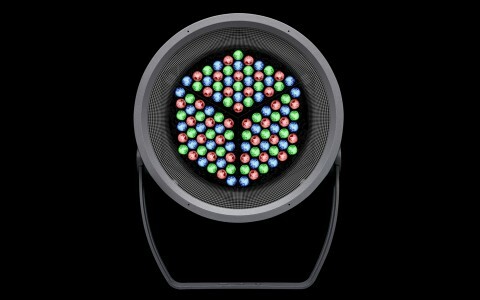 Using a Pharos control system, the luminaires can be programmed to change colors for special occasions like July 4th or Thanksgiving. Each color show has two static looks. A static color goes on for 27 minutes, then one of the two dynamic shows takes over for 3 minutes, followed by the next static color for another 27 minutes, punctuated by a 3-minute dynamic show, and so forth. 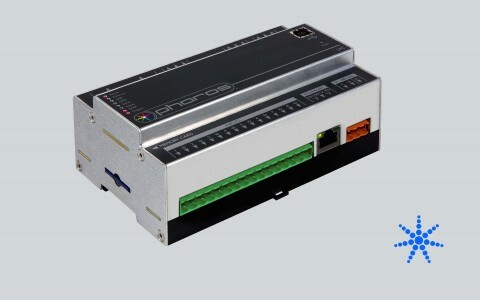 The Pharos controller will give Monday Properties the ability to change, edit and create new shows, and to control each fixture independently. Testing of 230 Park Avenue's new lighting has sparked the interest of passers-by. Borden says people often stop to ask questions, and a few have even applauded. But Borden's priority is the address itself. "We are helping people rediscover this building," he declares. 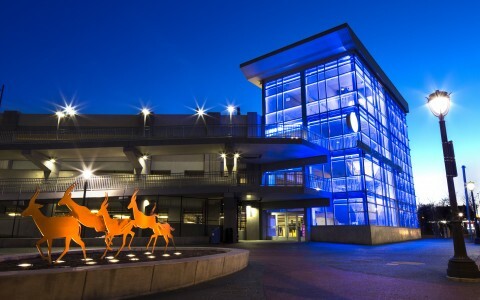 "Good lighting should enhance the visitor's experience of a project. Like art, it should produce an emotional sensation that elevates the experience of the project. 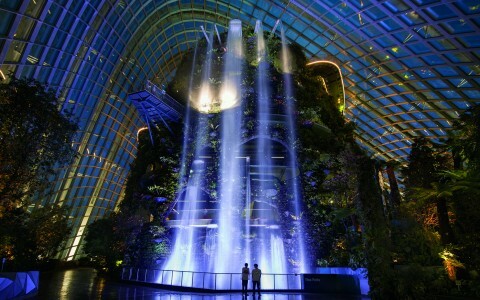 It should help to turn a location into a place that makes the visitor want to return."